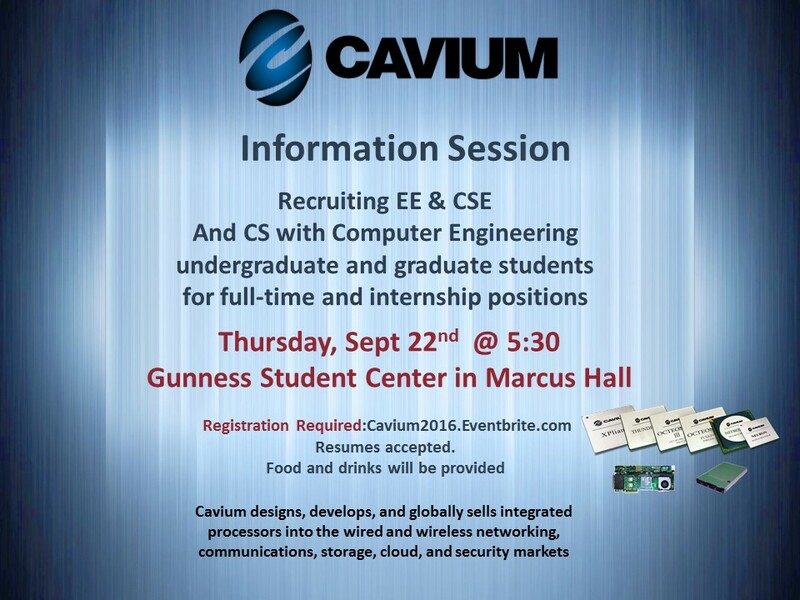 Cavium designs, develops, and globally sells integrated processors into the wired and wireless networking, communications, storage, cloud, and security markets. Recruiting EE & CSE and CS with Computer Engineering undergraduate and graduate students for full-time and internship positions. Resumes accepted. Food and drinks will be provided.